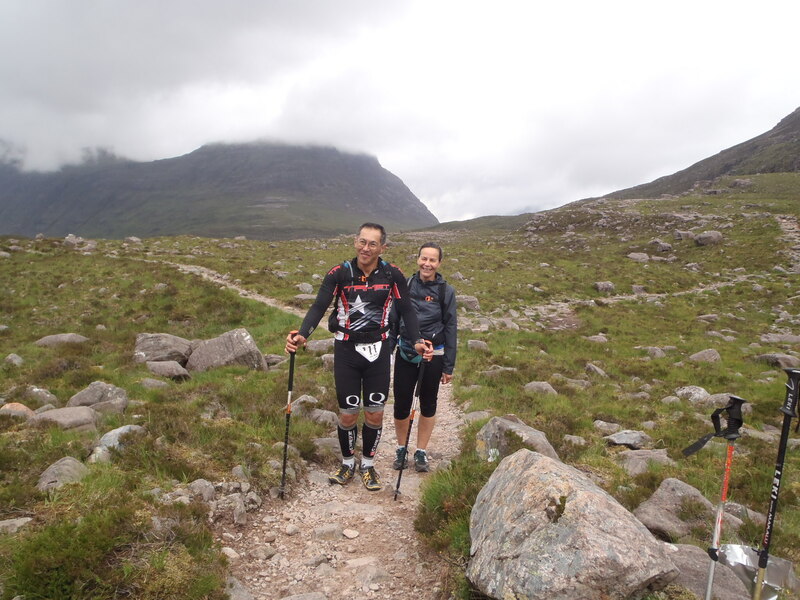 ← A few thoughts on the Celtman Triathlon at Torridon. Celtman a few more comments and the wild flowers are out. After I spent the morning sorting out my kit from the weekend and taking it easy just recovering from the long day out. I wonder how all the competitors felt. This is normally a great time of year to be on the hills but some of the very wet weather has hammered the wild flowers but the mountains are in full bloom just now. I had a wee walk with my friend Derek Harman along the Moray Coast yesterday and there was a profusion of wild flowers along the path, I wonder how many notice them. This year the wild orchids are incredible the colours a deep purple make them so different from the ones I see on the mountains, you do not have to walk far to see them! I had a few comments from my blog on the Celtman confirming what great people they are. One a couple husband and wife from abroad who wondered if I was the guy that took photos of them near the end of the race. I was able to help them and they both were very happy, that is love to do the mountain stage of a Triathlon with your partner, what fun couple. Another email was from another competitor who we walked of the hill in the dark along with his father and brother, he was so pleased that we were there to assist and it is great to get some good feedback, especially from those in the race. The happy couple enjoying the last few miles. The great thing after such an event is that once things slow down at the end it is always worth looking back and seeing how it can be improved from the safety and marshalls point. I have used my experience and that of a few others to improve things for next year. This is always worth doing as the line between adventure and safety especially in such an extreme event can be tight. It is incredible to see those athletes both elite and those who do it for fun! put themselves on the line for a race with mainly pride at stake. It makes me think of some of those overpaid footballers and the money they get for doing so little and their huge egos and lifestyles. I am so impressed by the efforts of all those concerned but at times you have to look back to improve systems, hopefully for any future events. In all it was a huge success and great for the area. So many participants said what a country we live in and what kindness they were given. The Celtman was a great event I hope the first of many and what a bonus for the economy in the North West. We need to look after this land and keep the wild areas wild our best asset. The gateway to the North West at Achnasheen is this the way to treat the wild land a huge road on the hill, for what purpose! This entry was posted in Enviroment, Friends, Mountain rescue, Views Political?, Wildlife. Bookmark the permalink. 2 Responses to Celtman a few more comments and the wild flowers are out. Will send you a photo stay happy!